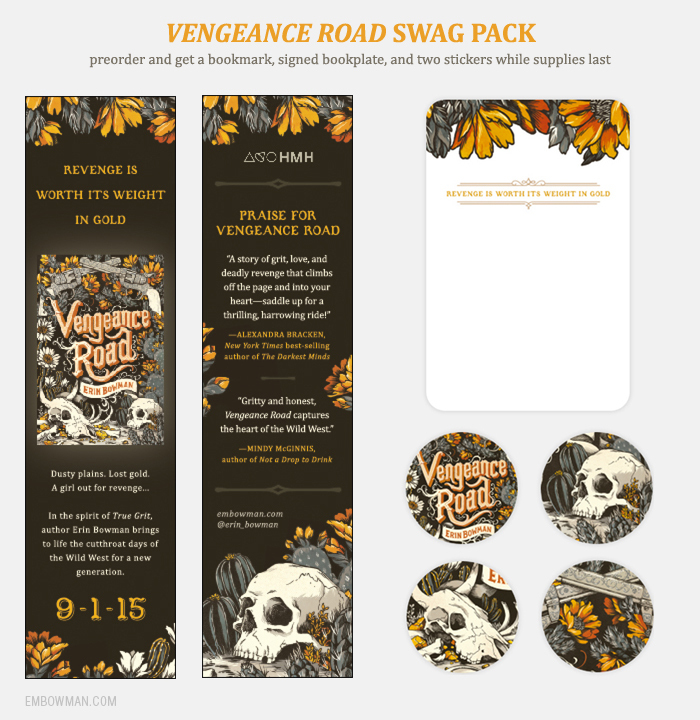 Vengeance Road releases in exactly two months! So exciting! Erin Bowman is currently holding an awesome preorder contest. Anyone who preorders will receive the awesome swag pack pictured below and be entered to win the grand western-themed prize! More details can be found here on Erin’s blog. Register soon so you don’t miss out on this great deal! Thanks for letting me know about this! Great information as always! Thank you! I’m excited to read Vengeance Road! Are you?